Hunt for the FUN(gi) Facts! » Home » What's On » Calendar » Hunt for the FUN(gi) Facts! » Home » Events » Events » Hunt for the FUN(gi) Facts! Join the Mushroom Hunt! 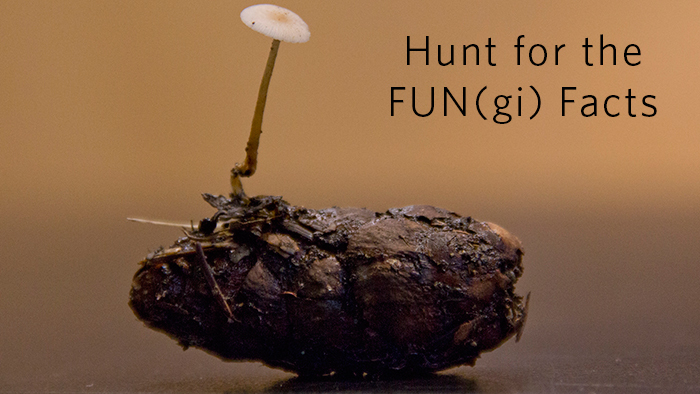 Throughout October, capture the most FUN(gi) Facts and share them on Instagram with the tag #beatymushroomhunt. Whoever shares the most Facts by 5:00 pm on October 31st will win a Four Mushroom Pizza from Pie R Squared! Must be following @beatymuseum to win.